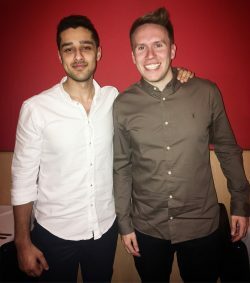 This year marks the 3 year anniversary since record-breaking consultancy owners; Scott Parsons and Roheel Ahmad started making a name for Forsyth Barnes in the Executive Search & Interim Consultancy world. It all started back in 2015, in a tiny office in London where they started building the Forsyth Barnes business. They were determined to build a business in the toughest environment, with the most competition. At the start of 2016, Scott and Roheel secured bigger offices in Kings Cross and hired their very first team members. One of which, Pui-San, who started as an Intern, is now managing Finance and Operations following several promotions, and is managing a team of 4. 2016 was a year of furious growth, as they built the business, hiring a number of consultants, and set team members career paths on the way to management. New sales records were hit, clients attracted, and 5* holidays to Barcelona and New York took place for everyone to enjoy! As the business grew, so did consultant’s aspirations with a number of promotions taking place in a great year for Forsyth Barnes. By the end of 2016, and fresh from a developed organisational structure including HR, the Kings Cross offices were starting to get a bit small for the team, and they embarked on the hunt for a new place for the FB Family to call home. 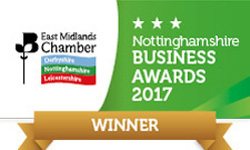 2017 came and went as quickly as 2016 and was a year of awards and further expansion for Forsyth Barnes – they moved to a 30 person exclusive office, by Old Street to be close to a number of their Technology clients, whilst simultaneously opening a second office in Nottingham! The business grew to 25 hires – phenomenal in such a short space of time. 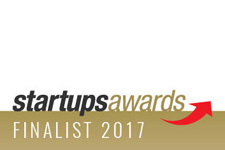 After coming 16th in the Startups.co.uk 2017 index, Scott winning Entrepreneur of the Year in the EMC Awards, and the team being recognised for their “Commitment to People Development” – it was clear that the business was progressing, with no ambition too large. True to their nature, Scott & Roheel have ensured that the entrepreneurial spirit is at the heart of everything they do. Now 2018 is well underway, a growth opportunity was spotted in Leeds, heralding the opening of Forsyth Barnes’ third office, right in Leeds City Centre, in a beautifully renovated Grade I listed building. The business is now on its way to 40 people, spread across all three major cities, ensuring that Forsyth Barnes retain some of the very best talent the UK has to offer. As 2018 ushers in accelerated growth, there have already been murmurs about the next big milestone. Scott and Roheel have so far achieved great successes and they’re not planning on stopping there, commenting that ‘it’s just the start’. Could international expansion really be on the cards less than 5 years on from that tiny, little first office on the way to building the Forsyth Barnes empire? A new office location – Nottingham. The first Executive Search firm of our kind in the city. Outgrowing our first Nottingham office & moving to a penthouse office (https://www.nottinghampost.com/news/business/new-office-nottingham-firm-recruits-547531). Being asked to appear in Recruiter.co.uk(page 17). Being listed as the number one recruitment company in the Startups.co.uk index for 2017. Being shortlisted for four of the EMC Business Awards. And Scott being named the EMC Entrepreneur of the Year! 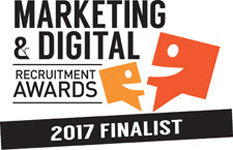 Being shortlisted for three awards in the Marketing and Digital Recruitment Awards! Having our New York expansion planstalked about in business publications.